Twenty five years ago a Boston-based boy band took the world by storm with a single titled "Step by Step." Of course, they were known for a few other hits, including "Please Don't Go Girl," "You Got It (The Right Stuff)," and "Hangin' Tough," but like all of their other hits, this particular song continues to be a favorite for many. That's right, in 1990, New Kids on the Block gave their fans another beloved song to jam to. 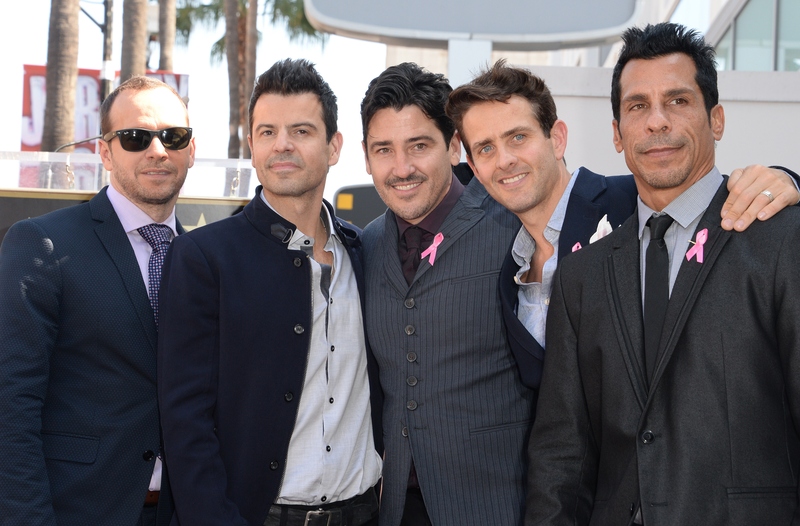 Let's thank, Jordan and Jonathan Knight, Joey McIntyre, Danny Wood, and Donnie Wahlberg for their talent. Also, let's thank NKOTB for putting on an amazing show — in the '80s, '90s, and even in the 2000s. Even though I was only four years old when "Step by Step" was released, thanks to my sister I became a huge NKOTB fan — yes, I even owned the Jordan Knight doll. Sadly, I never had the chance to attend a concert back in the day, but that doesn't mean I didn't channel my inner fangirl when it was announced NKOTB would tour with Backstreet Boys. Oh, yes, my sister and I hit up the NKOTBSB concert in Boston, which made it even that much more amazing being in the band's hometown. However, that just wasn't enough, so when NKOTB toured with 98 Degrees and Boyz II Men, well, we went to that concert as well, but this time in Las Vegas. So, were the concerts everything I hoped for? Yes, and much, much more. They will forever be something I cherish and will continue to be a beloved memory. So, let's honor NKOTB and the 25th anniversary of "Step by Step" by highlighting just how memorable a NKOTB concert is — in the 2000s. Don't let the fact that they're in their 40s dissuade you from attending one of their concerts. They are tougher, fitter, better dancers, and even better singers than they were back in the day. These men still have what it takes. How can you go wrong with watching 98 Degrees and Boyz II Men before NKOTB take the stage? When in doubt, Donnie will rip his shirt off — and the crowd will go wild. Also, if you're lucky, the other guys will too. A NKOTB concert is a huge sing-along for fans. Even 25 years later, fans gather to support the one band they loved as teens and that's pretty spectacular. True NKOTB fans know just how shy Jonathan is, so when you get to see him sing (solo too) and dance live, well, that's a dream come true. If you think just because many concert goers are in their late 20s, 30s, and 40s that they won't scream their heads off, well, you'd be wrong. I'm pretty sure I couldn't hear for a day after both concerts. There's no doubt that NKOTB love their fans as much as their fans love them. Plus, when you can feel that love during their tour, well that shows just how much they really care about their fans. FYI, Donnie shed some tears during the Boston concert I attended, because he was overwhelmed by the love. Fans still go crazy when NKOTB sings "Step by Step" — and, yes, we still know all of the steps by heart.